Ready for the newest upgrade to your MAPADOC for Sage 500 ERP system? Read on, because today’s post is packed with information about the helpful changes that will save you time and increase your efficiency. At the top of the list is new Unattended functionality. What does this mean for you? One word – AUTOMATION. 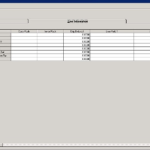 Unattended functionality has been enhanced to allow you to process your ASNs automatically. 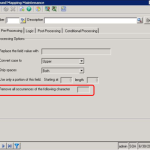 This feature has been modified to add setup features to process ASNs (856s) unattended. When these features are turned on, the features to skip creation of outbound documents with errors are automatically turned on as well. 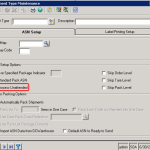 After these setups are selected, ASNs marked as “ready to send” will automatically be created by the Unattended Outbound Document Creation option. For both Inbound and Outbound Unattended, a prompt was added to the screens that displays the countdown, in minutes, until the next check for new documents is performed. MAPADOC Options / Outbound Document Creation Options now has the ability to Skip Creation of Outbound Document with Exceptions. 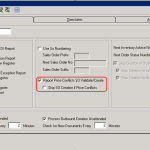 You can select which exceptions you want to skip creation for — options include “Cross References Not Found” and “Blank Fields.” All Outbound Document Creation options have been modified to report an exception and skip creation of a document when this new feature is selected and one of the selected exceptions occurs. Do you have lots of UDFs that need maintenance? The View/Edit MAPADOC UDFs screen can now be maximized to see more data without scrolling. Even better, the grid is maximized along with the screen with the header row and column 1 fixed, so you never lose track of where you are. Is your calendar always close by so you can calculate your delivery and ship dates? Go paper-free and recycle that calendar! Now you can use the “Perform Date Calculations” feature to automatically calculate the date based on the date-value mapped. 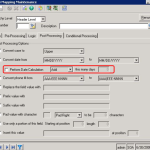 This feature is found in Outbound and ASN Mapping / Creation. 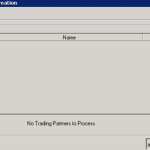 Document processing screens within MAPADOC now include a Trading Partner grid selection option that allows you to select multiple trading partners to be processed — eliminating multiple trips into the selection screen. SO Shipment Creation now has the ability to support lot/serial number distribution. This information can now be assigned via the 945 data. That will save some time! 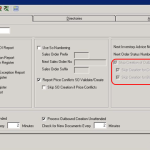 MAPADOC Options now has a new option to report price conflicts and skip Sales Order creation of conflicts exist. A number of issues were also addressed in this release. Please review the Read Me/Release Notes for details on those changes. GET YOUR NEW FEATURES SET UP NOW! 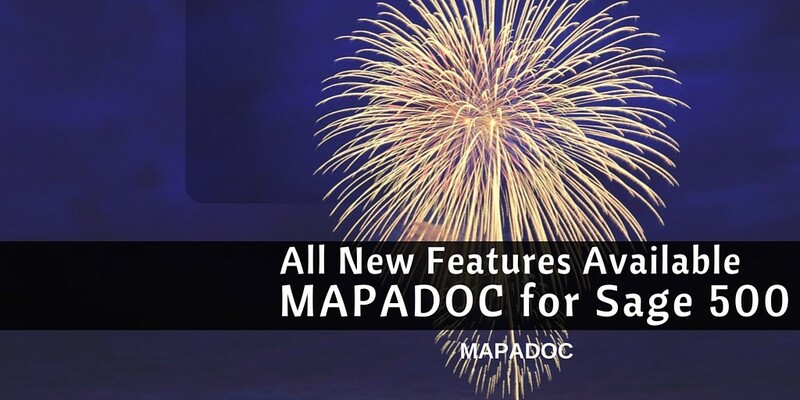 Contact a MAPADOC expert using the button below to get access to all the new features and fixes in this service pack for MAPADOC for Sage 500 ERP.